Many software quality initiatives fail because they do not take account of the range of views that people have of quality. New approaches to software quality improvement will not work unless software developers believe in them, no matter how enthusiastic managers may be. This paper reports on a pilot study using the repertory grid technique that found evidence to support these assertions. The study findings justify further work and show that while the repertory grid technique is an appropriate instrument in this area it is resource intensive to apply and may not be practical in a wider study of a representative sample of the IT industry. 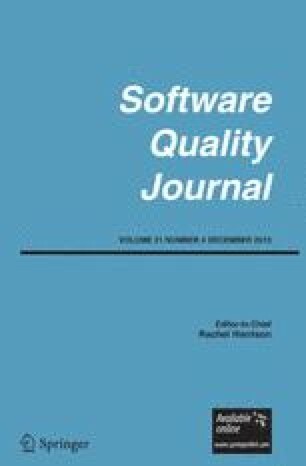 The paper has practical recommendations for successful introduction of new software quality programmes. These recommendations stress the need for effective communication, leading to a shared understanding of ‘quality’, and for realistic goals that recognize the pressure of development schedules.